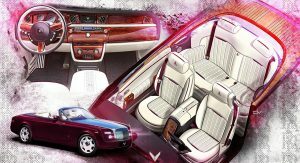 It’s been a while since we last heard from Vilner, but the Bulgarian tuner is back with yet another project: a Rolls-Royce Phantom Drophead Coupe with a bespoke interior. 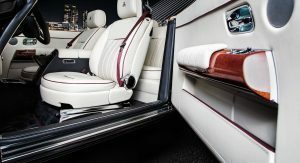 The 10-year old land yacht arrived at the aftermarket specialist for two reasons: the cabin had seen its fair share of dark jeans, and its owner wanted a bit more than the original stock interior. 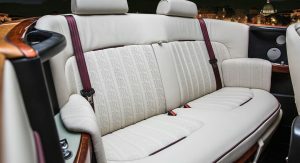 Vilner accepted the challenge and used several square meters of fine white leather on almost every part. 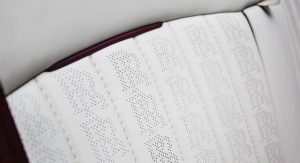 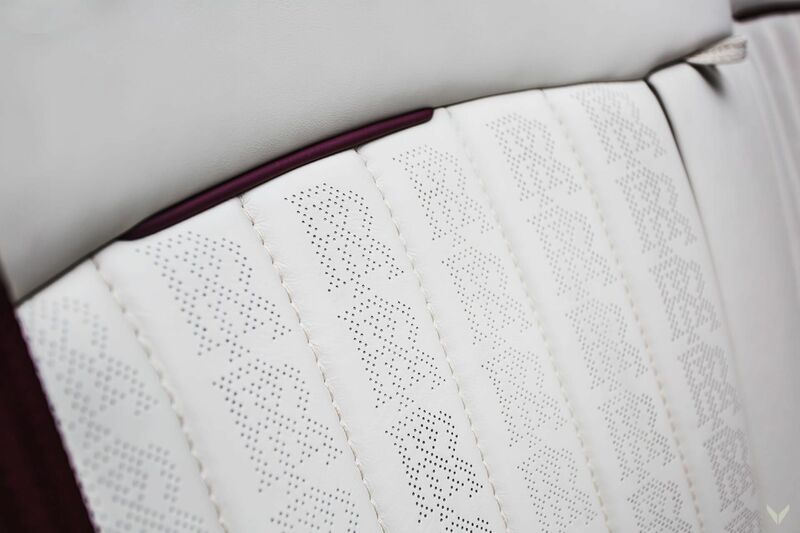 Moreover, the central sections of the seats now feature the ‘RR’ pattern, which help with the heating and ventilation functions. 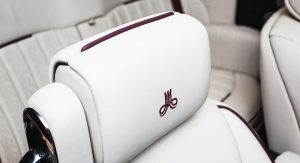 The same initials can be found on the doors, too. 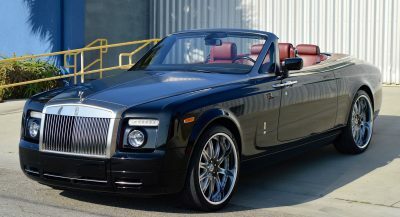 Elsewhere, this Rolls-Royce Phantom Drophead Coupe features a contrasting Cherry color for the pipeline and seatbelts, which resembles the exterior finish of the car. 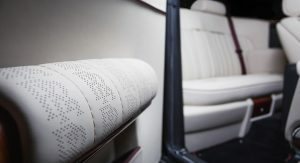 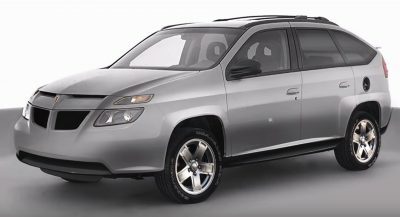 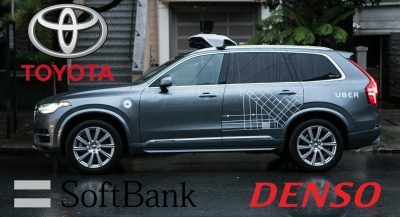 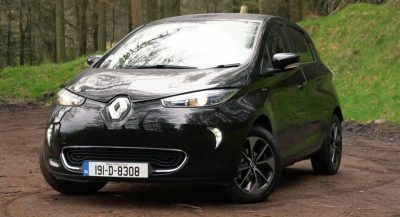 The dashboard was also re-wrapped in “special anti-UV impregnated leather” which also “minimizes the reflections on the inside of the windshield”, the tuner says. 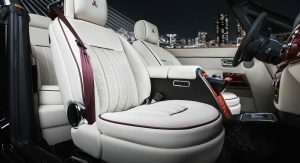 Tiny details such as the ‘RR’ embroidered headrests and custom floor mats make this vehicle more unique. 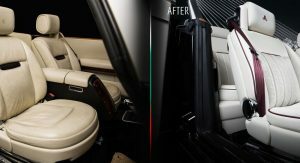 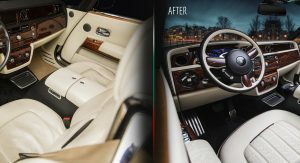 The Bulgarian aftermarket specialist spent 120 man-hours restoring the rear deck. 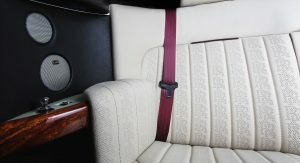 Made from teak wood, this piece hides the soft top, and contributes to the whole vibe of the refurbished car. 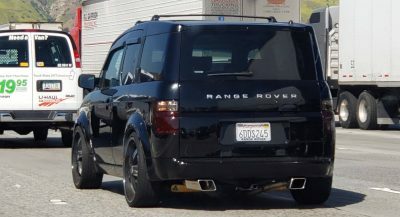 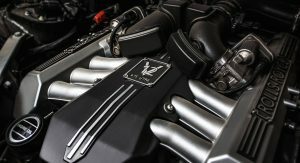 As expected, Vilner hasn’t made any other mods, so the exterior remains stock, as does the 6.75-liter V12 engine, which feeds 460PS (454hp / 339kW) and 720Nm (531lb-ft) of torque to the rear wheels through a six-speed auto. 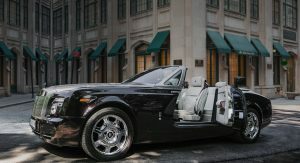 I can almost smell the rich Cuban Cigar and money. 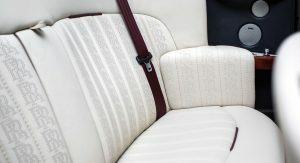 I’m not picky, the old interior still looks good for me honestly.